Hopping on a blog train today to share the birth story of my firstborn, Jazz. As some would say, the firstborn would always hold a special place in the parents' heart. I did guess so, since that was when I had all the first taste of pregnancy to birth and parenting. There was one thing I was sure after the birth of my firstborn, that was to start a blog. To chronicle and not miss out the milestones of growing up and parenting. So I had Jazz's birth story captured here, right after I was discharged from the hospital. Each time she turns a year older, I think of how this blog ages too. 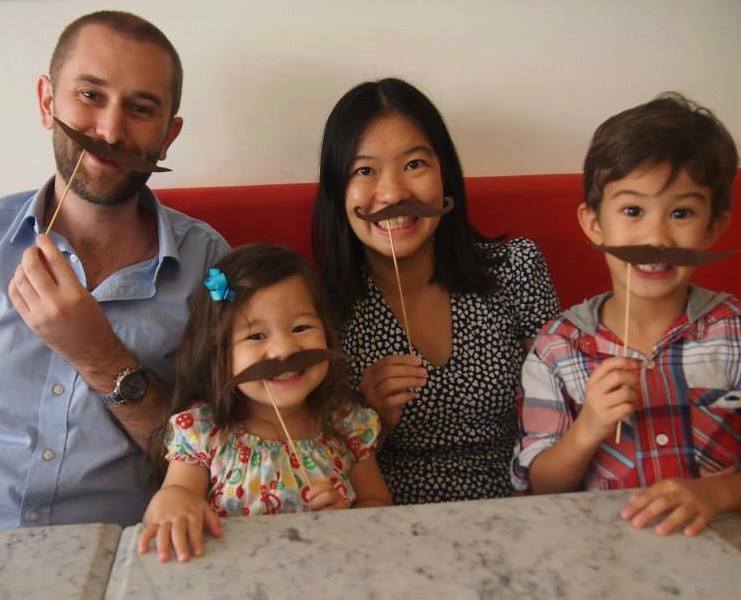 Blogging journey is definitely not a lifetime, but parenting is! Once a Mum, always a Mum. Jazz greeted the World in April 2009, with a gestation period of 40 weeks and 2 days. I copied her birth story from my first post and gosh! Everything is still so vivid. 3.30am: Awaken by some cramps in my tummy, which I didnt really bother as I was always waking up in the middle of nights. It seemed like part of my insomnia routine. I took walks in the living room and in my bedroom thinking if Jazz might be coming out. 4.30 am: The man was awaken by my movements, and I felt the pain getting more intense. He suggested going to the hospital, but I thought it might not be a need to go yet, as the pain was still bearable. I tried to sleep again. Can't believe I thought of going back to sleep! 5:15am: The pain was really more intense, I woke up and crouched on the bed. Told the man that we got to go. I hurried to change, brush and wash up, and took a quick shower. Ed got himself ready, gel-ed his hair and dressed up real smart. I said, "We're going to the hospital, are you going to work?". He replied, "Later must take photo with baby!" Oh well, he wins. First time Dad after all. Anyway, while waiting for me to pack up, I told him to feed pillow (our fur kid) and walk him as it might be a long day. 5.30am: My water bag leaked, and it was like a sure sign. I hurriedly clear up the mess. 5.40am: We left home, gave pillow my goodbye hug as I knew he'll be away for a month before I'll next see him. 5.55am: Arrived at hospital, pain was unbearable at every 5-10mins interval. I was directed to the labour ward and changed into their ward gown. I was 3cm dilated upon admission. 6:30am: The man did the administration, I was put on CTG to monitor contractions. Nurse came and asked if I could still clear my bowels, I wanted a mess free delivery, so I said I could. Despite the pain. 8:30am: The pain was mad!!! Asked for laughing gas, as Epidural wasn't on my mind (wanted to save money... really!). The laughing gas didn't help and I contemplated on Epidural after some struggle with pain. The Anesthetist was around, I was asked to sign the form, but changed my mind to hang on again. With some bad attitude, he went "It's Ok if you don't want, just that when you need it later, you'll have to wait for some time". Then he proceeded to tell the nurse loudly "I'll be back at 1.30pm". My mind was like, "It's ok, go! Don't provoke a woman in labour pain! Men seriously don't get it!" But in my heart, I doubted I could bear till 1.30pm! I was in great pain. 9:45am: Contractions got more intense! Really painful!!! And it's real scary when you hear women screaming in other wards. And, Ok, I gave up, I needed Epidural. Told the nurse and she called for an Anesthetist. While waiting, I crouched and moved and held on tightly to the bed rail, till the nurse asked me not to move, as CTG is not monitoring my contractions. I tried to figure out about staying still in labour, but impossible. 10am: Had my Epidural!!! Oh, even this process was excruciating! But thank God, it was a different anesthetist, an angelic looking lady administered the Jab for me. It was 'happy-dural!' I slept after the jab. It was like a life-saver to me. 1:30pm: Pushed to delivery suite, waited for gynae to come. And am fully dilated. Watched TV, rest and waited. That was about 9 hours of crazy labour upon admission. Motherhood got me braver and stronger. I did Jare without epidural and his short story here, if you're keen. I'm thankful how God has created women to be strong and endure so much from pregnancy to birth. There's just so much joy and victory when I first held each child. It was like a trophy after a very long race. Never mind that painful journey or that sacrifice from a change of body shape to permanent scars and marks. I didn't like them, but it was all worth it for the priceless exchange. 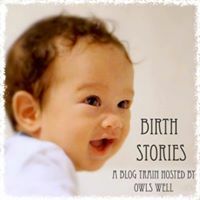 This post is part of the ‘Birth Stories’ Blog Train hosted by Owls Well. To read other exciting birth stories, please click on the picture below! 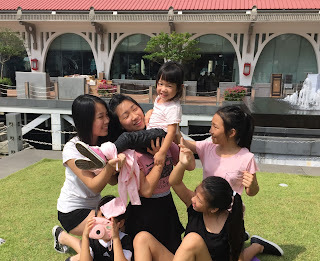 If you would like to travel to the previous stops on this Blog Train and read more interesting birth stories, you can start with this one here by Michelle over at Mummy Wee. Michelle is supermum to 6 kids aged 3 -17 and she shares the birth stories of all 6 of her kids, as she learnt through trial and error what worked best. At next week's stop, will be visiting Debs G, a full-time practising RAWK mum (Runs Around With Kids). When she isn't busy with her 3 kids and finding ways to maintain both her complexion and sanity, she writes about her experiences at home on Owls Well and her wanderings abroad on Owl Fly Away. She also sings in the shower. Thanks for dropping by, May! Can't wait to read yours too. Haha I laughed out loud when I read the bit about how you found that mental strength in the midst of labour to avoid an assisted delivery! Also, I'm glad that you didn't let the grumpy anaesthetist pressure you into an epidural before you were ready for one. Thank you so much for sharing your story on the birth stories blogtrain! Thanks for initiating this blog train, Debs! I had much wonderful flashback just by re-telling it. It feels like I delivered yesterday, still so vivid. Just how beautiful birth stories are.